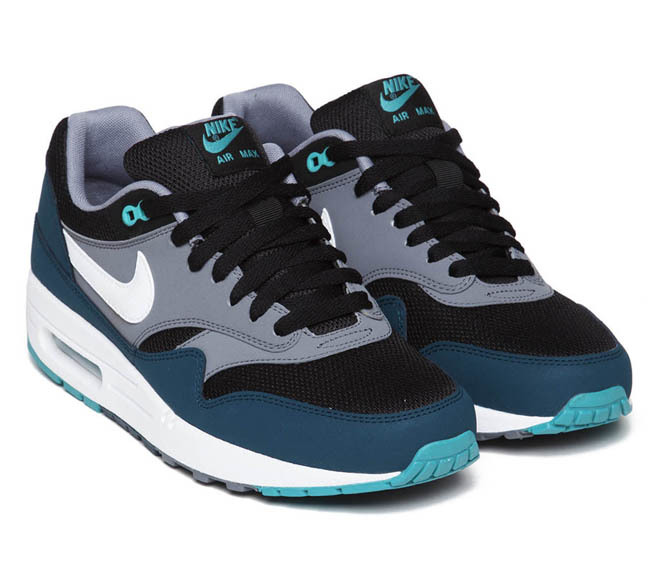 And there is Nike Air Max 1 again with a new release. 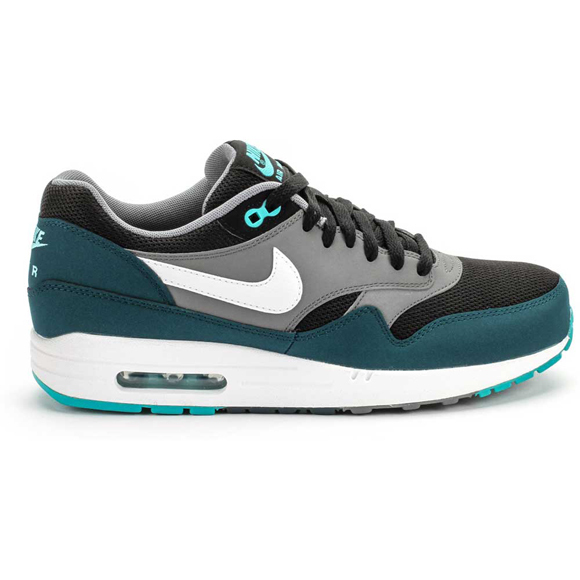 This dark beauty is called the Nike Air Max 1 Black & White & Mid Turqoise. This is what they call a all-year-long shoe. Fresh, fruity and sunny elements and a dark base makes sure you enjoy this shoe every day of the year. This Nike Air Max 1 Essential is once again made out of the most high-end materials. 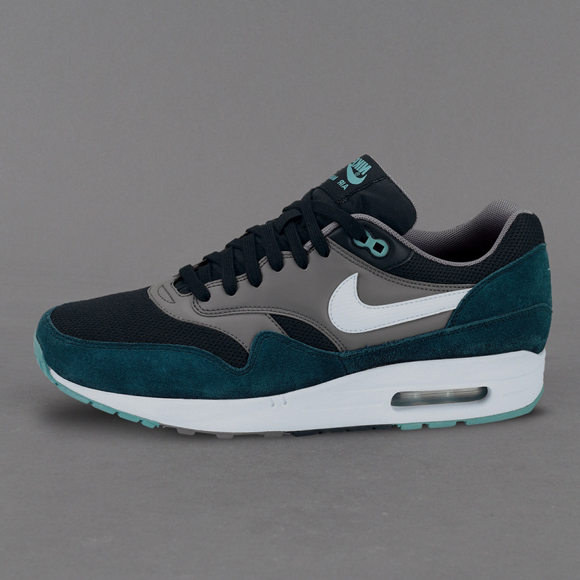 This time Nike Air Max One choose suede, mesh and smooth leather. By using these materials Nike ensures you that this is a quality shoe and it won’t just fall apart after a few years of using it. With proper care you will love this shoes for years and years even if you wear them every day. 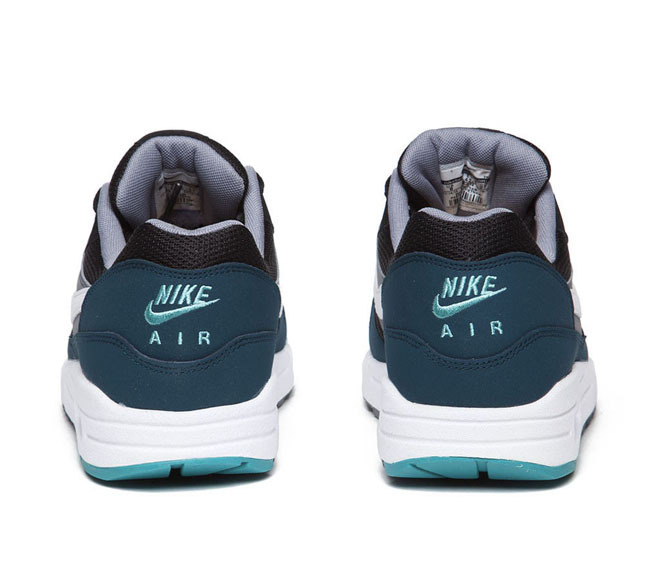 The rubber sole comes in lightblue and black. 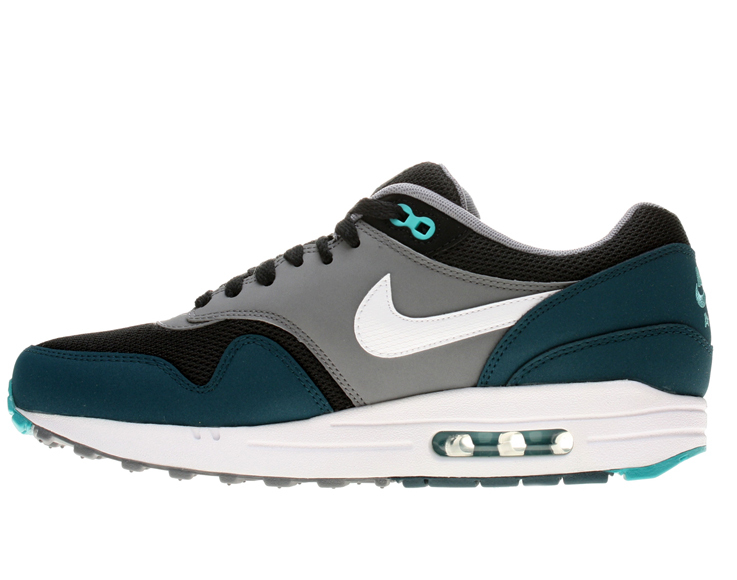 On top you’ll find a white mid-sole with room for the lightblue air-bubble. Further to the top you’ll find a Mid Turqoise mudguard and heel. For the upper of the shoe Nike AM1 used grey smooth leather and for the Nike Swoosh they used smooth leather but then in fresh white. 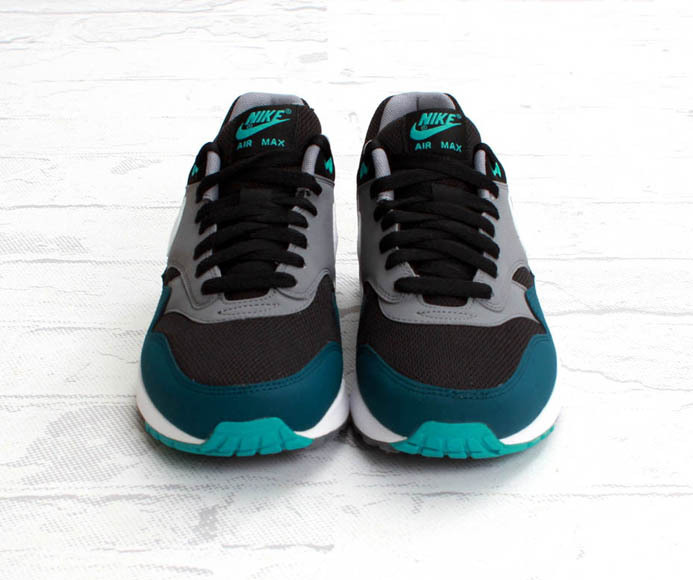 On the toebox, for the tongue and around the ankles Nike used breateble mesh. 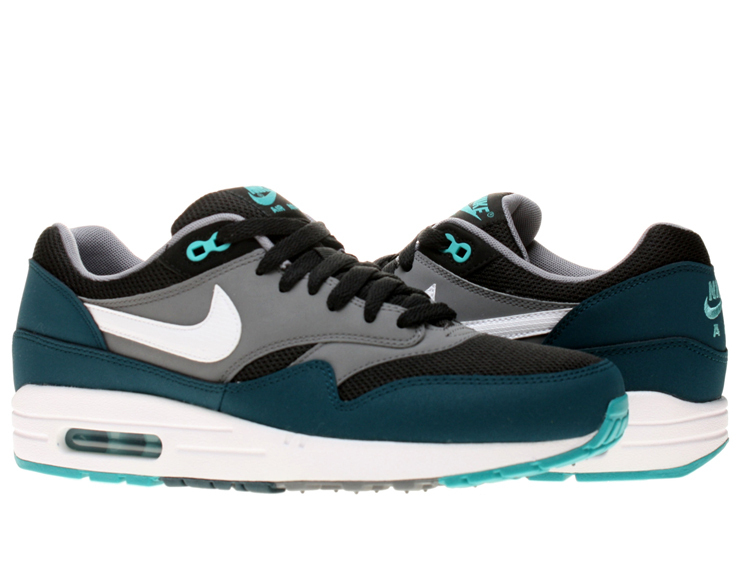 Do you want to own a pair of these Nike Air Max One? 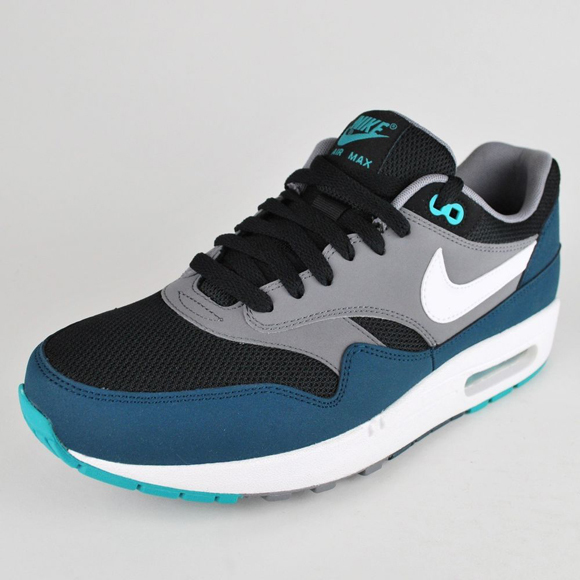 Around april 2013 they will release in stores.